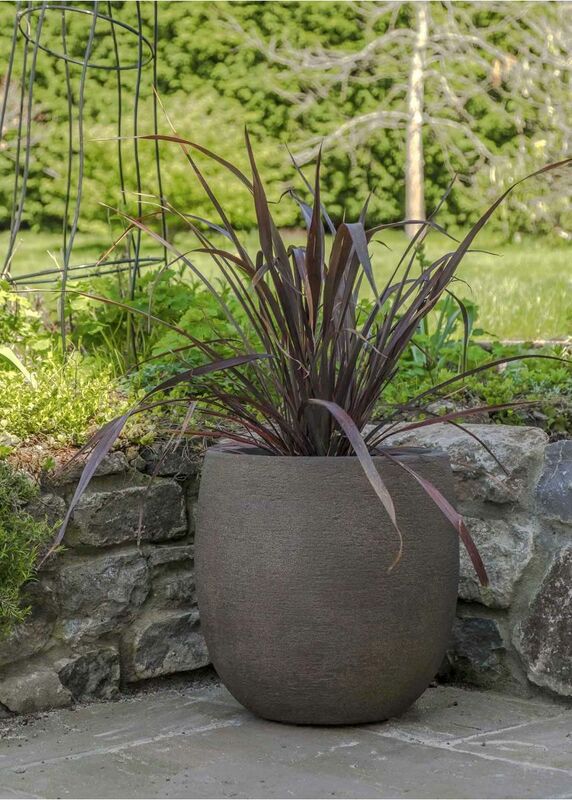 Savanne planters have a natural look, with their grey-brown colour and rough-hewn texture. 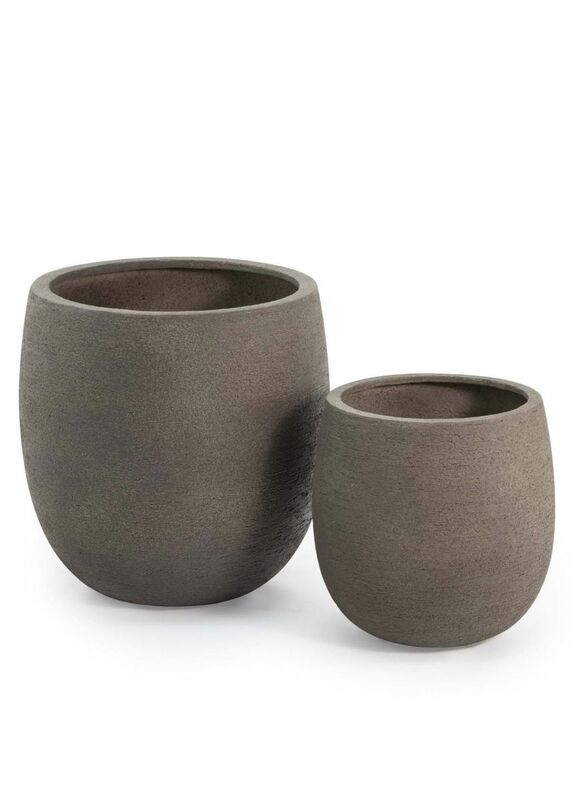 In keeping with their organic appeal, they come in gently rounded shapes, and will sit easily with most garden styles. 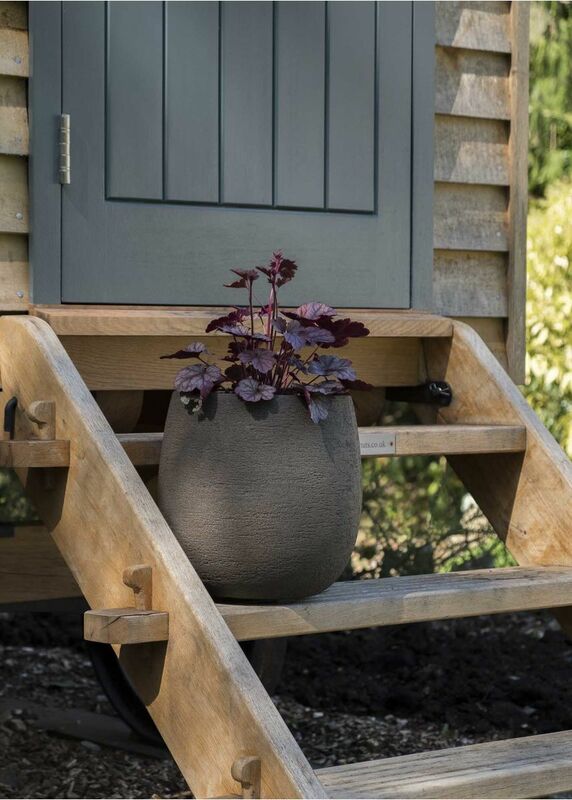 Made from top quality fibreglass (GRP), these are very robust, weatherproof planters while being light enough to be handled very easily. 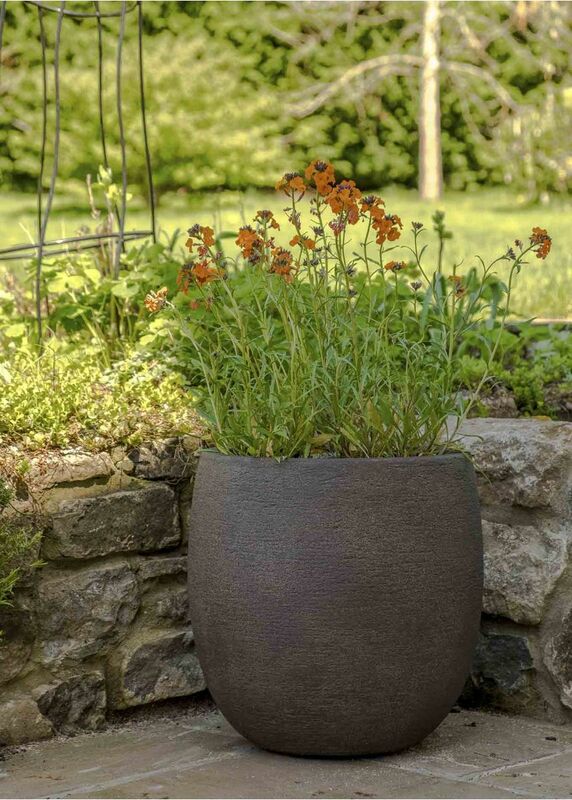 The Bolla is a pleasing 'bellied' shape, and the medium and small size here are useful and versatile pots for the patio or terrace. 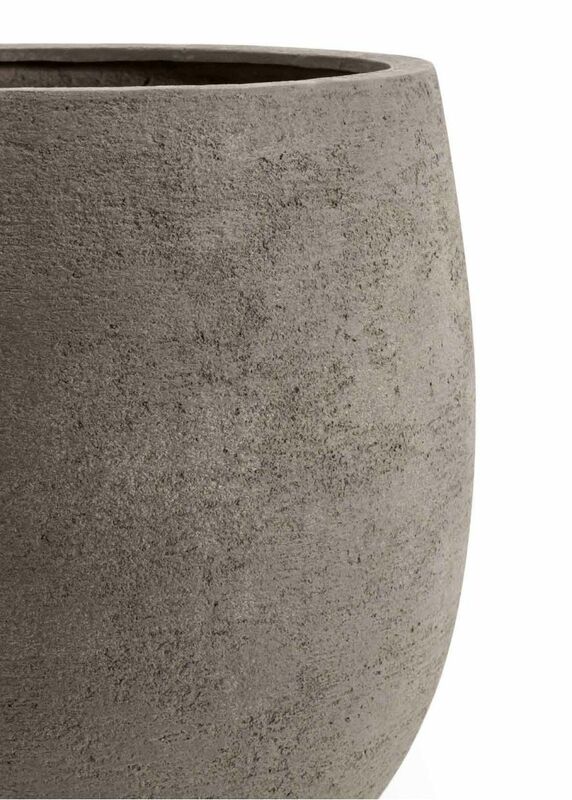 The different sizes (large size is listed separately) also look good grouped together . Due to size and weight, these products qualify for our courier delivery service at a charge of £6 per item, up to a maximum of £36.